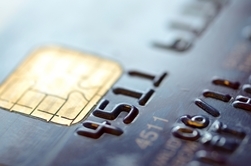 Fair Credit Billing Act Protects Against Credit Card Errors | The Consumer Law Group, P.C. While the Fair Credit Reporting Act protects consumers against false and inaccurate information on credit reports and misuse of personal financial information, when you have a dispute with your credit card issuer, you will need to call upon the Fair Credit Billing Act (FCBA). This act provides dispute settlement procedures for consumers who find mistakes on their credit card statements. What Kind of Mistakes Are Found on Credit Card Bills? If the error you find on your credit card account falls into one of these categories, you should follow the dispute settlement procedure as outlined by the FCBA. Write to the creditor at the address given for billing inquiries (not the address for sending your payments) and include your name, address, account number, and a description of the billing error. The FTC provides a sample letter. Send your letter promptly. It must reach the creditor within 60 days of your receipt of the first bill with the error. Send your letter by certified mail and ask for a return receipt so you have proof of what the creditor received. Include copies of sales slips or other documents that support your position. Keep a copy of your dispute letter. The credit card issuer must respond to your complaint in writing within 30 days of receiving it. They then have no more than two billing cycles to resolve the dispute. While you may withhold payment for the disputed charge without penalty, you must pay the charges on your bill that are not in dispute, including interest and finance charges, if any. If, after pursuing the appropriate channels for resolution, your legitimate dispute is still unresolved, fill out the quick claim form on this page. We will get back to you promptly to let you know if you have cause to pursue further action.